Do you have items of furniture you would like to donate? We collect reusable household items free of charge in our local area. We can only accept items of furniture or white goods that are in good quality condition, suitable for reuse. Unfortunately we can only accept flat screen TV’s. All electricals must be in good working order. 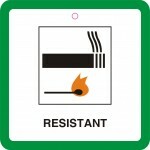 If you are donating sofas, armchairs, mattresses or divan beds they must have a fire safety label attached. They’re usually attached to your sofa behind the cushions. They also need to be free from stains and tears. When you fill out this form, we will contact you to confirm your donation. We can pick up donations Monday to Friday from 9am or donations can be dropped off at our Reuse Centre during opening hours only please.